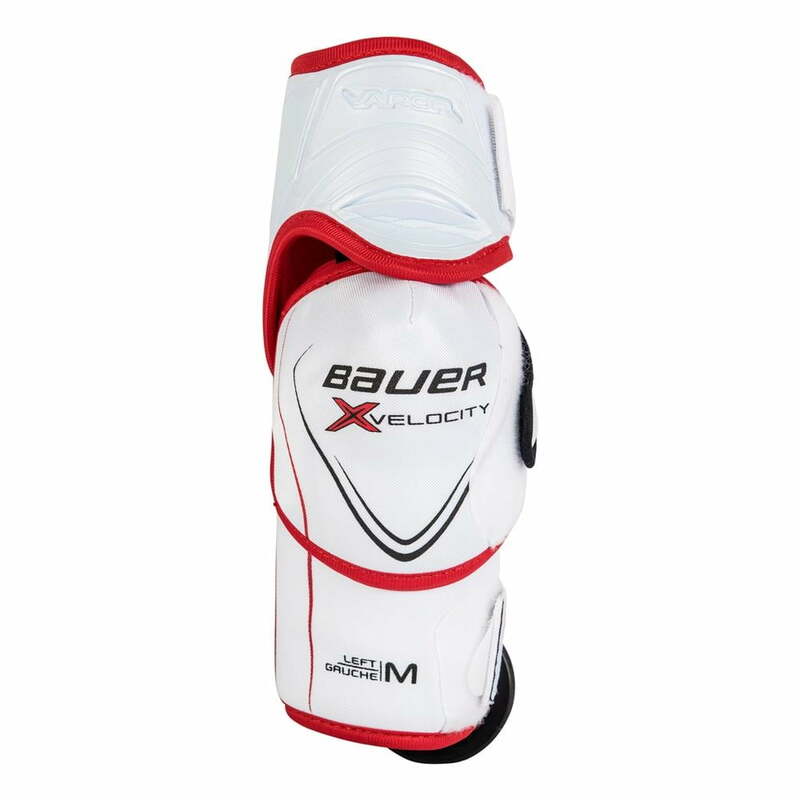 Bauer Vapor XVelocity “Exclusive” Junior Elbow Pad | Sports Etc. Based on the Vapor X800 series of protective gear, Bauer’s Source Exclusive Vapor X:Velocity line is a step above with enhancements to keep your equipment even more safe and comfortable on the ice. Vapor X:Velocity based on the Bauer Vapor X800 protective gear. Available exclusively at Source For Sports retailers. Sports Etc Performance To Value Rating– 9 out of 10. Excellent value. Exclusive enhancements reduces overall weight, while maintaining a high level of protection.